To install this, just rename the files from @dayzescape to @DayZ and join the servers, it works better that way, and you can join through commander! 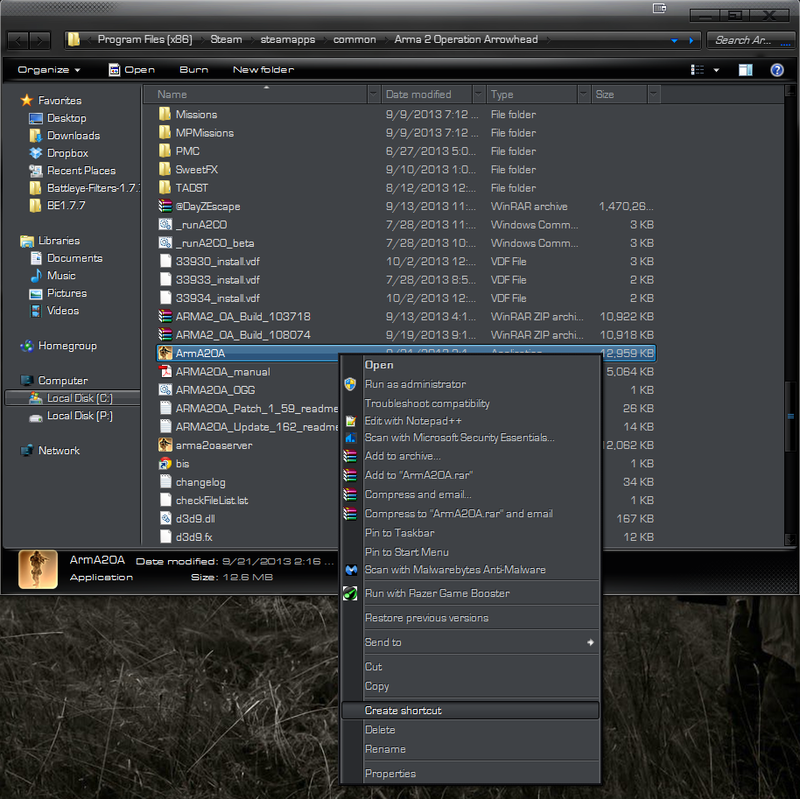 Step by step on how to install without renaming files! 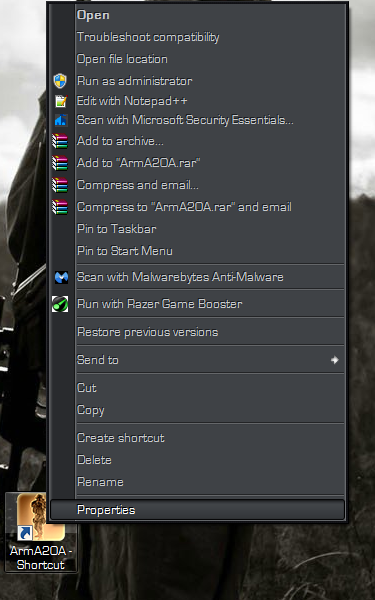 Step 2: Put @DayZEscape into your Arma2OA installation folder. 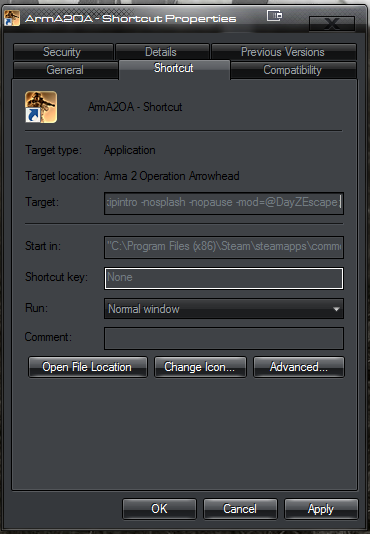 Step3: Rightclick the application "ArmA2OA.exe" click create shortcut. and click apply then when you launch the shortcut it will automatically start dayz escape mod! I changed the DayZ Directory in Commander to launch the game. Any other way wasn't letting e in for whatever reason. i will upload it somewhere else aswell. Also, Andrew, what are you using for that color of your windows? Looks pretty cool and clean. May you give me information on how to get it or what-so? Also, here is what I get from doing perfect installation, up to about the part of putting -nosplash -nopause -mod=@DayZEscape; after the "
Post a screenshot in your line, or I can help you out on teamviewer. I've got a screen shot, just not TOO sure how to insert it.... Pretty new to this opendayz, as you can tell. remove -nosplash in the line, that is my fault! Now it just runs to a black screen using the shortcut, and using dayz commander it will end up kicking me... 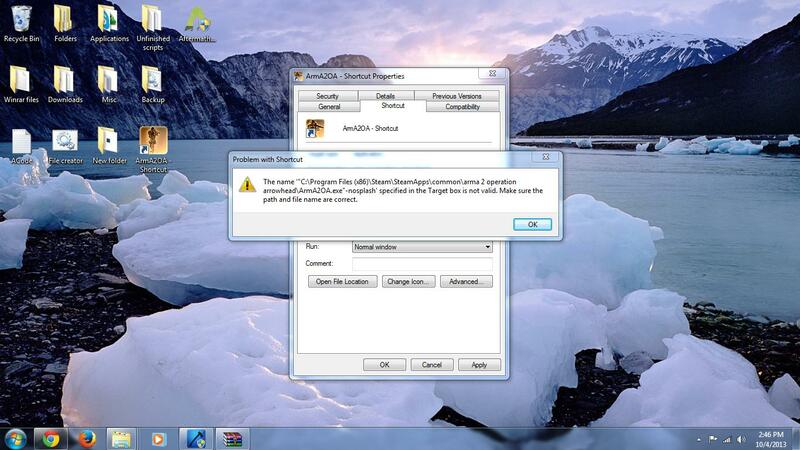 I'll install team viewer, but I have bad experiences with it. You seem trustable though and I hope I can keep that word. Is there still a server i keep trying remote connect and cant find the server.